It’s the final DIY Friday of 2007…. so what should you be working on? A float for your local New Year’s Day parade, of course. Few places are better for community parades then Santa Cruz, California, which holds the Last Night Santa Cruz DIY Parade every year. You can check out the highlights from previous years here. On the parade float, Explorer 1 fires off the launch pad at the center. In its wake arises a collection of historic JPL robotic explorers, as well as planetary ports of call. On one of the solar panels displays a floral “photographic” representation of the Explorer pioneers whose vision ignited the spark for U.S. space exploration — William Pickering, then director of JPL, scientist James Van Allen and rocket designer Wernher von Braun. Ascending from Explorer’s fiery plume are a Martian orbiter and a six- wheeled Mars Science Laboratory, which in 2010 will carry on the tradition of NASA/JPL robotic exploration. On the other edge of the plume, climbing beyond the garland of rings surrounding the planet Saturn is JPL’s Voyager 1 — humanity’s most distant emissary — which is now on its journey headed into interstellar space. The 25-foot-tall float is jacketed by everything from black seaweed, eucalyptus leaves, split pea and ground walnut shells to daisies, roses, carnations, chrysanthemums, carnations, strawflower and cut everlasting. From all of us at Really Rocket Science — Happy New Year! Not the news any of us wanted as we ease out of our holiday break. Benazir Bhutto was a brave, courageous woman, with a vision for a better Pakistan — a Pakistan that could democratize, that has greater respect for human rights, that has an eye towards modernization and economic progress. Despite repeated exiles, death threats, and assasination attempts, she always returned to her country with the well-being of Pakistan paramount. Bhutto beleived in the democratizing force of information and media. She condemned Musharraf’s crackdown on Pakistan’s emerging independent television stations, including the government’s import ban on satellite dishes. As we discussed last month and Bhutto was shrewdly aware of, the rise of Satellites and the Internet has made state control much trickier for autocrats. Bhutto will be missed by Pakistan and by the world. These offspring of peasant families whose monthly earnings rarely exceed the cost of one of the $188 laptops — people who can ill afford pencil and paper much less books — can’t get enough of their "XO" laptops. "It’s really the kind of conditions that we designed for," Walter Bender, president of the Massachusetts Institute of Technology spinoff, said of this agrarian backwater up a precarious dirt road. Founded in 2005 by former MIT Media Lab director Nicholas Negroponte, the One Laptop program has retreated from early boasts that developing-world governments would snap up millions of the pint-sized laptops at $100 each. In a backhanded tribute, One Laptop now faces homegrown competitors everywhere from Brazil to India — and a full-court press from Intel Corp.’s more power-hungry Classmate. But no competitor approaches the XO in innovation. It is hard drive-free, runs on the Linux operating system and stretches wireless networks with "mesh" technology that lets each computer in a village relay data to the others. Mass production began last month and Negroponte, brother of U.S. Deputy Secretary of State John Negroponte, says he expects at least 1.5 million machines to be sold by next November. Even that would be far less than Negroponte originally envisioned. The higher-than-initially-advertised price and a lack of the Windows operating system, still being tested for the XO, have dissuaded many potential government buyers. Negroponte said 150,000 more laptops will get shipped to countries including Rwanda, Mongolia, Haiti, and Afghanistan in early 2008 through "Give One, Get One," a U.S.-based promotion ending December 31 in which you buy a pair of laptops for $399 and donate one or both. "Some tell me that they don’t want to be like their parents, working in the fields," first-grade teacher Erica Velasco says of her pupils. She had just sent them to the Internet to seek out photos of invertebrates — animals without backbones. "What they work with most is the (built-in) camera. They love to record," says Maria Antonieta Mendoza, an Education Ministry psychologist studying the Arahuay pilot to devise strategies for the big rollout when the new school year begins in March. Before the laptops, the only cameras the kids at Santiago Apostol school saw in this population-800 hamlet arrived with tourists who visit for festivals or to see local Inca ruins. Arahuay’s lone industry is agriculture. Surrounding fields yield avocados, mangoes, potatoes, corn, alfalfa and cherimoya. 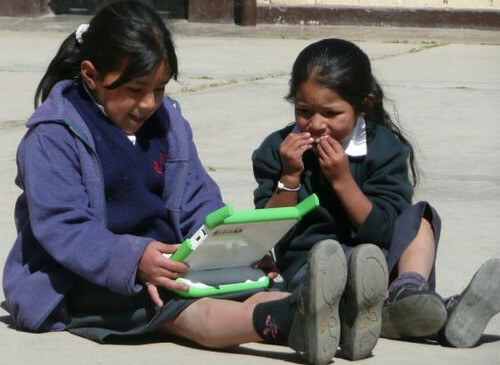 Peru’s head of educational technology, Oscar Becerra, is betting the One Laptop program can reverse this rural exodus to the squalor of Lima’s shantytowns four hours away. It’s the best answer yet to "a global crisis of education" in which curricula have no relevance, he said. "If we make education pertinent, something the student enjoys, then it won’t matter if the classroom’s walls are straw or the students are sitting on fruit boxes." The XOs that Peru is buying will be distributed to pupils in 9,000 elementary schools from the Pacific to the Amazon basin where a single teacher serves all grades, Becerra said. Negroponte says One Laptop is committed to helping Peru overcome that hurdle. Without Internet access, he believes, the program is incomplete. Teachers will get 2½ days of training on the laptops, Becerra said. Each machine will initially be loaded with about 100 copyright-free books. Where applicable, texts in native languages will be included, he added. The machines will also have a chat function that will let kids make faraway friends over the Internet. The first is the ability of teachers — poorly trained and equipped to begin with — to cope with profoundly disruptive technology. Eduardo Villanueva, a communications professor at Lima’s Catholic University, fears "a general disruption of the educational system that will manifest itself in the students overwhelming the teachers." For every 100 units it will distribute to students, Peru is buying one extra for parts. But there is no tech support program. Students and teachers will have to do it. "What you want is for the kids to do the repairs," said Negroponte, who believes such tinkering is itself a valuable lesson. "I think the kids can repair 95 percent of the laptops." One Laptop is currently bidding on a contract with Brazil’s government that Negroponte says demanded unrealistically onerous support requirements. Sitting in his dirt-floor kitchen as his mother cooks lunch, he draws a soccer field on his XO, then erases it. Kevin plays a song by "Caliente," his favorite combo, that he recorded off Arahuay’s single TV channel. He shows a reporter photos he took of him with his 3-year-old brother. "We never imagined having a computer," said Arrendondo, a cook. "No, I like it. Sometimes when I’m alone and the kids are not around I turn it on and poke around." "It’s also got chess, which I sort of know," she said, pausing briefly. It’s in situations like these where the SES "one dish per village" idea will make an impact. United Launch Alliance successfully launched a Delta II expendable launch vehicle today from Space Launch Complex 17-A at 3:04 p.m., EST carrying the Air Force’s GPS IIR-18(M) satellite. This launch marks the fifth mission for the Air Force this year and the 13th and final mission for ULA in 2007. Following a nominal 1 hour and 8 minute flight, the rocket deployed the GPS IIR-18(M) spacecraft, the fifth modernized NAVSTAR Global Positioning System Block II R-M military navigation satellite. GPS is a space-based radio-positioning system nominally consisting of a minimum of 24-satellite constellation that provides navigation and timing information to military and civilian users worldwide. "With the launch of GPS IIR-18(M), ULA completes a tremendously successful first year of operation and demonstrates its commitment to 100 percent mission success," said Mark Wilkins, vice president of Delta Programs. "As we continue to provide safe, cost-effective, reliable access to space, we are privileged to serve an important role in critical missions, such as GPS, which are force multipliers for our men and women in uniform serving our country throughout the world." 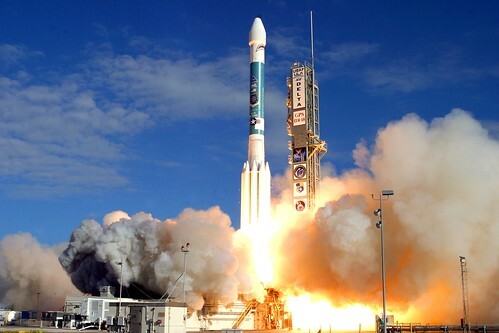 ULA began processing the Delta II launch vehicle in Decatur, Ala., nearly two years ago. In August 2007, the first stage arrived at Cape Canaveral Air Force Station from Decatur, followed by the second stage Sept. 19. The vehicle was erected on the stand at Pad 17-A, Nov. 5, with solid rocket motor installation completed by mid-November. Hundreds of ULA technicians, engineers and management worked to prepare the vehicle for the GPS IIR-18(M) mission. With all the space debris out there, especially in the lower orbits, its a wonder we don’t hear about this type of news more often. Big news a year ago was the Chinese missile taking out one of its own weather satellites, causing a space junk controversy (watch the video simulation here). You can track this debris yourself. But I reckon it’s called "space" for a reason — there lots of it up there. The satellite was decommissioned in December 2005, but was one of NASA’s largest and brightest in low-Earth orbit, and popular among amateur sky watchers. Called UARS, Upper Atmosphere Research Satellite, it was launched in 1991 and carried a NASA Langley instrument called HALOE that captured data about the chemistry of the atmosphere. "When I heard this, I was shocked," said Jim Russell, a Hampton University professor who was the project lead for HALOE. "This is very unexpected. That’s not normal decay." Nicholas L. Johnson, chief scientist for NASA’s Orbital Debris Program, said it remains unclear what happened to UARS. Four pieces bigger than 4 inches in diameter — roughly the size of a trackable piece of space junk — were sent into orbit, but it is unclear how large those pieces are. Only three known collisions between two satellites have ever occurred, Matney said. But these "anomalous" events, where it’s not clear what one of the colliding objects was, do happen occasionally, he said. "It’s very hard to determine," what might have hit UARS, Matney said. The U.S. Space Surveillance Network, run by the Air Force, estimates there are about 10,000 objects in low-Earth orbit that are larger than 4 inches. The network’s sensitive ground-based instruments can track those objects. The objects range from communication satellites to the International Space Station to junk — pieces of decaying satellites and the remnants of rocket boosters. The UARS collision created only a handful of new pieces of debris, but still, "You hope it’s not anything sinister," said Ellis Remsberg, a Langley scientist who worked on HALOE with Russell. What remains of the craft’s core will continue to orbit for some time — barring another collision. So you’ve been thinking that this would be a nice year to give that special someone a DIY project, to demonstrate your skills and show that a gift made with love is more valuable than one bought with cash. But who are you kidding? Time is running out. If you don’t have your holiday shopping mostly wrapped up by now, a DIY project is probably out of the question. Get thee to a gift certificate, and quickly. But you can utilize your DIY skills if you’re traveling this season. And you may need that take-charge gene over the coming days. As Wired reports, "The year 2007 was the worst for flight delays since the government began keeping stats more than a decade ago. In 2002, 17 percent of flights arrived late (defined by the FAA as delayed 15 minutes or more)." Here are four travel tips to help you navigate the holiday airport nightmare. Google has a new feature that you may not know about: flight-tracking. Just type your airline and flight number into the search box, and get the departure and arrival location and estimated time. So your flight is on time, but you’re wondering if you’ll be able to make that connecting flight at O’Hare? Well, first of all — what were you thinking flying through O’Hare during the holidays!? But okay, the plans are set. Use Wired magazine’s handy Google map of airport delays (pictured above) to see how long you’ll be on the tarmac. When you’re on the way to the airport — and thinking that the sudden snow squall you’re driving through might cause a delay — use 4INFO from your cell phone to get the latest update. Simply text your airline and flight number to the mobile search service at 4INFO (44636) to get the latest. And slow down! Snow is slippery to drive through. Are you worried that the bad kids up to no good? Check out the Global Incident Map if fears of terrorism are giving you the holiday heartache. From all of us at Really Rocket Science, have a safe and happy Holiday Season! Mobile TV is starting to take off. As networks get faster, phones get smarter, and consumers become more demanding, mobile tv may become the central front in the mobile market wars. So, not surprisingly, the Consumer Electronics Association Conference in Vegas next month will be a hot show on this subject. ICO Global and Alcatel-Lucent will demonstrate a new standard in mobile broadcasting – Digital Video Broadcasting, satellite to handhelds (DVB-SH). In the demonstration, ICO and Alcatel-Lucent will deliver mobile high-resolution live television programming to display terminals located in a moving vehicle outfitted with DVB-SH receivers. In addition, ICO will demonstrate high-resolution DVB-SH video reception by delivering pre-encoded content to portable monitors in ICO’s exhibit suite at the Venetian hotel. ICO and Alcatel-Lucent will also be demonstrating at the CES “ShowStoppers” press event on Monday, January 7 from 6:00 until 10:00 pm at the Wynn Hotel. These standards-based demonstrations are the first displays of the cutting-edge solution being developed for the ICO alpha trial of mobile interactive media (mim) services, which will take place in 2008 in Las Vegas, Nevada and Raleigh-Durham, North Carolina. The ICO mim™ product is a converged mobile media service that addresses a wide variety of consumers’ entertainment, information, and two-way communication needs: live and stored mobile TV in vehicles, interactive navigation, and roadside assistance, all with nationwide coverage. ICO mim will provide multiple channels of high-quality mobile video to portable, larger-screen (4.5 to 10 inch) user devices. Last spring, ICO announced agreements with Alcatel-Lucent and Hughes Network Systems (Hughes) to develop key architecture and technology for use in ICO’s alpha trial based on ICO’s next-generation geostationary satellite (ICO G1) and the deployment of an Ancillary Terrestrial Component (ATC) using the mobile multimedia DVB-SH open standard. ICO G1 is scheduled for launch in March 2008, and the alpha trial will take place in Raleigh-Durham and Las Vegas after the launch of ICO G1. Hiwire will leverage Aloha Partners’ sizable 700 MHz spectrum capacity to deliver this unprecedented channel lineup of high-quality, full-frame rate TV to consumers. The channel lineup, procured by SES AMERICOM, includes top, leading programmers and networks, with seven channels from Discovery Communications (including Discovery Channel, Animal Planet, TLC, Discovery Kids and Discovery’s dedicated mobile network, Discovery Mobile), six channels from MTV Networks (including CMT, COMEDY CENTRAL, MTV, Nickelodeon, Spike TV and VH1), two channels from Turner Broadcasting – CNN Mobile Live and Cartoon Networks/Adult Swim Mobile, Anime Network, E!, Fox News Channel, Travel Channel, The Weather Channel, MavTV and AccuWeather.com. The parties are in discussions to add other programming services as well which will be finalized prior to the consumer launch, scheduled to begin this month. But can DVB-SH gain traction? It has struggled to find support among handset vendors, especially as DVB-H, the only globally used mobile TV standard, is backed by an industry consortium that includes Nokia (NYSE: NOK) and Motorola. In a controversial move, the EU has also recently endorsed DVB-H as its mobile TV tech standard of choice and has placed the technology on its list of “official standards.” Starting in February, member states will be required to support its use and implementation—though this doesn’t mean they have to ban other standards. There’s also a question on whether its use may be more costly. As Reuters (NSDQ: RTRSY) reports, in Europe there is a current shortage of spectrum for mobile TV, which means the telecoms industry—just as Alcatel Luncent has done—has been looking at higher frequencies. DVB-SH sits just above current 3G airwaves. But these higher frequencies are usually costlier since the higher the frequency, the shorter the distance radio signals travel, meaning operators have to build denser networks. Rival DVB-H standard uses much lower frequencies, the same as traditional television’s UHF band. What does it feel like to have completed 90 orbits around the Sun? I don’t feel a day older than 89. I still can’t quite believe that we’ve just marked the 50th anniversary of the Space Age. The golden age of space is only just beginning… Space travel and space tourism will one day become almost as commonplace as flying to exotic destinations on our own planet. 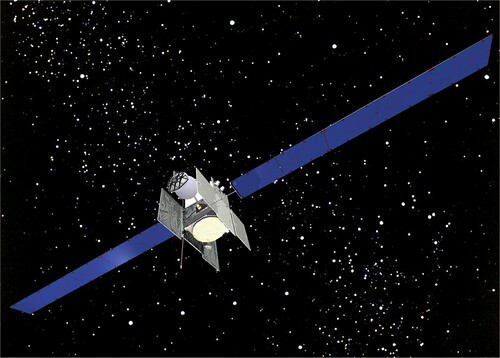 After four months of in-orbit testing, Boeing has handed over the Spaceway 3 satellite (pictured above in an artist’s rendition) to Hughes Network Systems. Hughes will utilize the Boeing-built satellite to provide HughesNet broadband satellite services throughout North America. Launched via an Ariane 5 that lifted from the Ariane Launch Complex 3 in the tropics of Kourou, French Guiana on August 15th of this year, Spaceway 3 is Boeing 702 — a huge satellite weighing in at 6075 kg, with a 132-foot solar array span. "Boeing is helping Hughes in its vision to ‘Connect to the Future’ through satellite-based Internet services," said Howard Chambers, vice president and general manager of Boeing Space and Intelligence Systems. "Flying more than 22,000 miles above North America, the Spaceway 3 satellite will allow Hughes Network Systems to provide existing and new customers with high-speed, two-way communications for Internet, data, voice, video and multimedia applications." Boeing manufactured the high-power, 702 satellite operating in Ka-band to enable Hughes to provide customers a new range of broadband-via-satellite services throughout North America. The Boeing-built technology that will enable these services includes a digital processor, downlink phased array antenna, microwave switch matrix, and flight hardware and software that will provide point-to-point and point-to-multi-point connectivity to Hughes’ customers. SPACEWAY will enable a full-mesh digital IP network that will interconnect with a wide variety of end-user equipment and systems. This North American broadband satellite system will enable a range of innovative applications, enterprise-wide. The SPACEWAY satellite features innovative, onboard digital processors, packet switching, and spot beam technology. Spot beam technology will enable the satellite to provide services to small terminals, while onboard routers will enable mesh connectivity. Users of the system will be able to directly communicate with any other user of the system without requiring connection through a central hub. What does this mean for the approximately 325,000 current HughesNet subscribers? Spaceway-3 uses Ka band spotbeams (at 20/30 GHz) and cannot be used by current subscribers, who are using Ku-band (11/14 GHz). So the handover of Spaceway is all new business for Hughes, and, according to a discussion on DSLreports, subscribers will need an entirely new outdoor unit (ODU) to tap into Hughes’ next generation model. But with throughput as high at 16 Mbps expected from Spaceway, many HughesNet subscribers may decide switching out their outdoor unit is worth it. My grandmother used to say that a good scare could take five years off someone’s life. Is that what happened to India’s Insat-4CR satellite? The satellite, which has 12 transponders meant for defence applications, direct-to-home (DTH) services and news gathering for television channels, was, however, “spotted” again with the help of the US-based National Aeronautics & Space Administration (Nasa) and brought back to a near geosynchronous orbit (36,000 km above earth). This took 15 days of manoeuvres, which consumed fuel normally meant for five years. This means the life of the satellite has come down from 10 years to five years. A satellite’s life is determined by its fuel supply. As it keeps drifting in space, it has to be propelled back to the desired orbit using precious fuel. A highly-placed source told DNA that Insat-4CR “disappeared” some time in October, almost a month after its orbit was raised for the fifth time to a near-geosynchronous orbit from the master control facility (MCF) at Hassan in Karnataka on September 7. The GSLV-F04 launch carrying Insat-4CR was critical for Isro after it lost Insat-4C #one minute after launch on July 10, 2006. Insat-4CR had a perfect launch, but the unusual drift in space was totally unexpected. Insat-4CR, weighing 2,130 kg, is identical to Insat-4C. 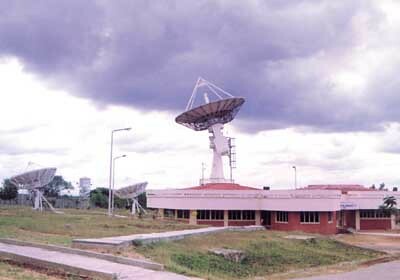 ISRO’s satellites are tracked from a giant 32 meter antenna installed at the Indian Deep Space Network (IDSN) at Byalalu, 40 km from Bangalore. ISRO has denied the report that Insat-4CR went missing: "It’s totally false and baseless. We totally deny it," ISRO spokesperson S Satish said.